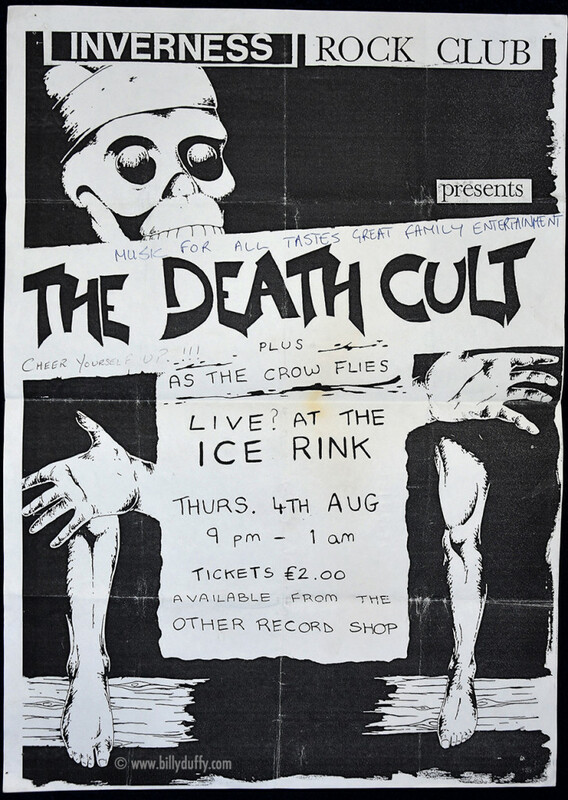 "This poster from my collection is from Inverness Ice Rink in Scotland and was only the second show in the UK after Death Cult were formed in 1983. You can see that there's some writing added to it and that's mine... I can't really remember what had prompted it but it's probably cos I was a bit pissed off with the goth aspect of the design as that's me being a bit of a brat for sure using "humour" to vent my feelings. It seems quite funny looking back at it now though!"